SCTPA was instrumental in the passage of the New Increased GVW 15% Tolerance for trucking unprocessed forest pr oducts increasing GVW to 84,272 pounds on Non-Interstate Highways Only (Not On Interstates) coupled with the New Strobe Light Law for longwood loads for improved highway safety. Both laws we re effective May 21, 2008. This additional 3,664 pounds or 1.832 tons has helped loggers and truckers gener ate more income. Because SCTPA worked with State Transport Police (STP) to revise our SC Intrastate Un- manufactured Forest Products (UFP) Trucking Regulations effective January 1, 2007, cer- tain variations and exemptions were retained that STP wanted removed. Likewise, because we negotiated with STP not all the proposed federal regulations were in cluded that would have surely encumbered the trucki ng of UFP products within our state. Loggers and Truck- ers would have been hammered with far more regulations than needed. Working to resolve the issue where IR S removed the 25% reduction for log trucks in the Heavy Vehicle Use Tax and is aud iting SC loggers to recover the taxes. NOW loggers are able to file for a refund if they were audited and had to pay the taxes. SCTPA has formed a coalition with American Loggers C ouncil, FRA, and the NC and VA loggers associations to resolve this issue first in SC and then in the other two states. First to tackle the SCDOT postings of H-10 bridges in Octobe r 2008 due to the new 15% GVW tolerance. Met with SCDOT to arrange a compromise regarding the posting of H-10 bridges so that SCDOT will attempt to get potential and posted H-10 bridges back to an ac- cessible level. Helped SC DOT put H-10 Postings on th eir website by county. Because SCTPA worked within the framew ork of the statewide trucking committee that worked with the SC Senate Transportation Subc ommittee, State Transport Police and SC Department of Public Safety, the New Size, Weight and Safety Fine System effective Octo- ber 1, 2006 still allows Unmanufactured Forest Products trucking to retain the 50% reduc- tion of the over gross citation up to 6,000 lbs. overweight. Additionally, the new system is more reasonable than the init ial proposed system by STP and DPS. SCTPA represented and worked for our members and t he industry. Without SCTPA at the table, loggers and UFP truckers would have been paying the full fine just like regular tru cking. Again, Loggers and UFP truckers would have been hammered! Represents the timber harvesting, timber supply and unmanuf actured forest products truck- ing segments in the SC General Assembly and in Washington, DC. Visits Washington, DC annually to meet with SC H ouse and Senate members for federa l legislation impacting tim- ber harvesting, trucking a nd sustainable forestry. Solely responsible in enacting the Varianc e to the OSHA CPR/First Aid Standard to allow loggers to have two workers certified in CPR/ First Aid at each acti ve landing and allow those certified to train other workers. Not all workers have to be certified now, which saves money and logistics pr oblems for training. SCTPA and District Members work within their counties to avoid unnecessary ordinances that would restrict timber harvesting and timber tr ansportation. Prevented Newberry, Greenville and Aiken Counties from enacting prohibitive ordinances regarding UFP Trucks using county gravel a nd dirt roads. SCTPA worked with the town of St. Matthe ws to negotiate an alternative route around town rather than having log tru cks routed over twenty-five miles out of the way. Worked with individual counties such as Horry and Greenville Countie s in 2008 in stopping local ordinances that would have restricted su stainable forestry and timber harvesting. Prevented Lexington County from e nacting a permitting pr ocess for loggers. Intervened in a logging job protest in Spart anburg County and handled the television and print media relations to promote sustainable forestry and professional logging practices. Supports the American Logge rs Council position of allowi ng state approved GVWâ€™s on fed- eral interstate highway system within that state. Working with coalitions to increase GVWâ€™s on federal interstate systems. Worked with Greenville County in Octobe r 2008 to stop the county from removing the ex- emption for forest and lo gging roads under the Stormwat er Runoff Regulations. Testified and stopped Lancaster County Council from enacting an ordinance prohibiting tractor-trailer units from being parked on private pr operty zoned agriculture. SCTPA worked with State Transport Police to agree that STP would not set up and weigh at mills on consecutive days, fo r prolonged periods of time and that trucks would not be held up while sitting in li ne to enter a wood receiving facility. 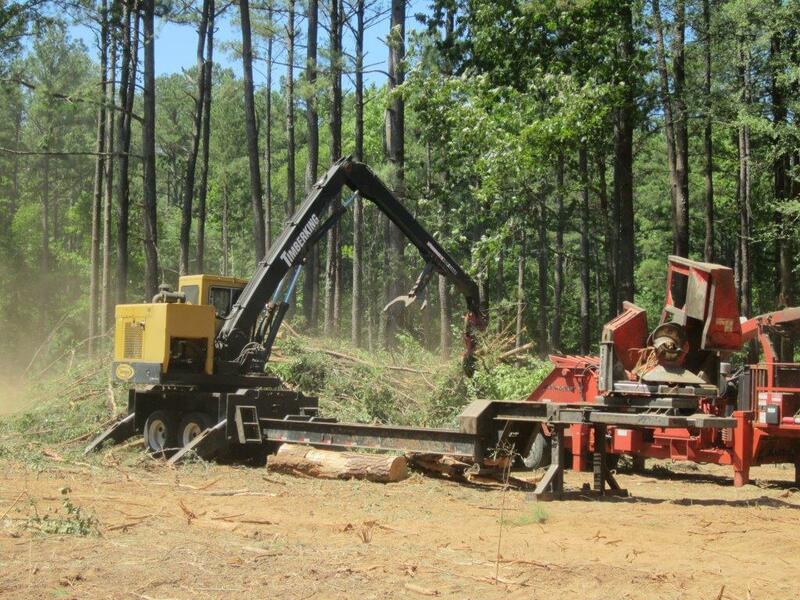 Working with SC Department of Revenue to stop counties from attempting to collect Prop- erty Taxes on logging equipment, which is exempt under a previ ous ruling, via an official statement being i ssued by SCDOR. Supported and worked to pass the SC Right To Forestry Law (Passed May 2009) exempt- ing forest landowners, sustainable forestry pr actices and timber harvesting from county and municipal tree ordi nances. Member of the SC Bi omass Council and the Western Pi edmont Biomass Marketing Com- mittee for the development of woody biomass utilization and alternative markets for wood and woody biomass in SC. 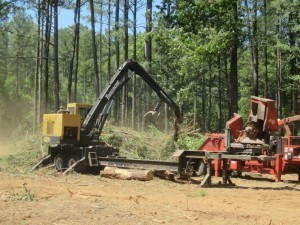 Involved in Woody Biomass Utilization projects around the state for locating wood and woody biomass alternative markets. Worked to revise and pass important Timb er Theft and Timber Fraud Laws that would not harm innocent loggers via allegat ions without investigative proof of wrongdoing. Worked to stop the IRS from eliminating the Mobile Ma chinery Exemption for Logging Equipment from federal excise and federal highway use taxes. Represents Unmanufactured Forest Prod ucts Trucking on the Stat ewide Trucking Task Force to improve SCDMV services to trucking. Helped return a refund to a logger memb er that was denied by SCDMV initially when the logger changed vehicle tags to apportioned tags from regu lar in-state tags. Instrumental in forming the SC Timber Harvesting Subcluster to develop recommendations for wood supply system improvements. Result ed in the new law for the 15% GVW Weight Tolerance for Unmanufactured Forest Product Trucking. Now that program has been reorganized and incorporated into another logger tr aining and forestry program. SCTPA worked to include a Log Truck Drivers Traini ng Program into the Glasscock CDL Driver Training Institute in Sumter. SCTPA is a charter member of the Wood Su pply Research Institute bringing together logger associations, wood receiving companies, wood suppliers and landowners to fund wood sup- ply chain research projects for improvements in wood supply, trucking, logging, wood yard and economic efficiencies. Charter member of the American Loggers Council. ALC is our national voice for profes- sional loggers.